Also in this series: Henrietta Who? Also by this author: Henrietta Who? The day begins like any other for Sister Mary St. Gertrude. When her alarm sounds at 5 a.m., Sister Mary begins rousting her convent sisters from their beds, starting with the Reverend Mother. Down the Order she goes with a knock and a warm blessing. But when the young nun reaches Sister Anne’s door, there is no answer. She assumes that Sister Anne got up early, and continues on her way. But later, when a fellow nun leaves a bloody thumbprint on the sheet music for a hymn, and Sister Anne is nowhere to be found, it becomes apparent that something is very wrong. Then Sister Anne’s body is found at the bottom of a steep set of stairs, her veil askew and her head crushed. Religious Body introduces the sophisticated Detective Inspector C. D. Sloan along with his eager and trustworthy sidekick, Detective Constable Crosby, and the acerbic Superintendent Leeyes in a mystery of holy proportions that will have readers guessing until the last page. Catherine Aird’s debut novel, The Religious Body, is a finely-crafted mystery in the best British tradition. First published in 1966, the book introduces her detectives, the quietly dogged Inspector Sloan and his insouciant sidekick Crosby. Aird’s trademark dry wit and fine sense of irony are already evident, and the book shows none of the common signs of a first novel. Aird writes with assurance and skill; her voice is distinctive but understated. Although it’s set in a convent, The Religious Body is not a typical closed-circle-of-suspects mystery. Sloan has to consider the possibility of an outsider having gotten in, and there’s at least one of those with a motive for killing one of the Sisters. Things become more complicated when the students of the local agricultural college burn a “guy” dressed in a nun’s habit on Bonfire Night. 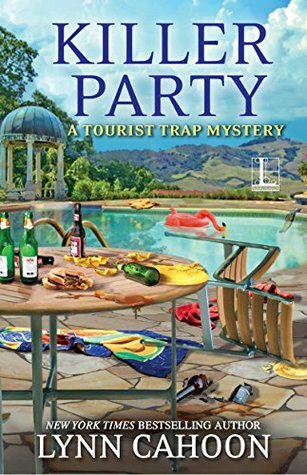 There are several unexpected twists, red herrings, and plausible suspects before the mystery is solved — and the ending managed to surprise me the first time I read the book. 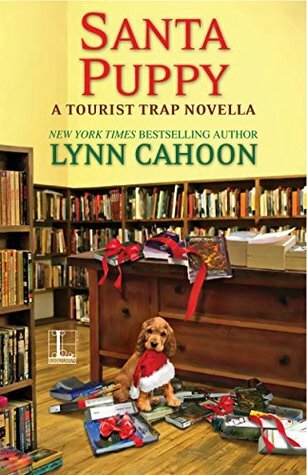 Investigating a crime within a convent presents some unusual challenges, but Sloan is up to the job; he is methodical, observant, quietly intelligent, and tenacious, and has that quality of imagination so necessary in a good detective. Crosby, on the other hand, while fine at meticulously going over the ground for clues or driving the police car (provided you’re in a hurry), is pretty useless at observation and even worse at drawing conclusions – he provides comic relief as well as brawn. We also meet Sloan’s boss, Superintendent Leeyes, a forceful, bombastic man who is not as intelligent as he thinks he is, as well as the rest of the series’ recurring police characters, the pathologist Dr. Dabbe and Dyson the photographer and his assistant. One of the things I like best about Aird, as with many writers within the classic British tradition, is that she plays fair with the reader. Aird doesn’t always reveal all of Sloan’s reasoning and conclusions, particularly just before the denouement, but as a reader, I’m privy to all the same information and clues he has. 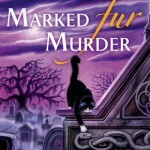 If Aird still manages to surprise me with whodunnit – and she often does – it’s a tribute to her skill as a writer. 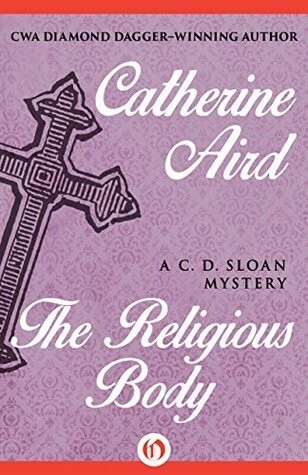 I highly recommend The Religious Body, and Aird in general, to fans of Agatha Christie and other traditional British mystery writers. 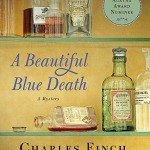 From this first book onward, her plots are inventive, her detective is quietly appealing, her settings are delightful, and her writing style is engaging. I’ve never understood why she isn’t better known and appreciated on this side of the pond. If you’ve never read her books, do yourself a favor and pick up a copy of The Religious Body – and don’t stop there. 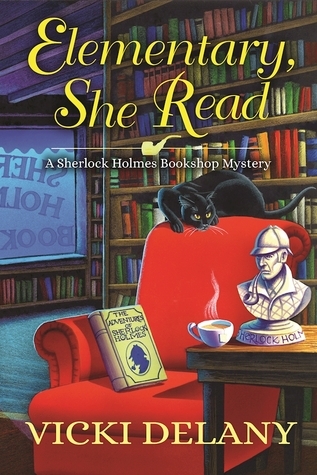 There are at least 25 books in the Sloan and Crosby series, and one standalone mystery. 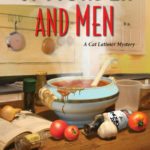 NOTE: Open Road Media has recently released the first 17 Sloan mysteries as ebooks. Print reissues of some of the early books are available from Rue Morgue Press, while Aird’s more recent works are published by Allison and Busby (UK) and Minotaur (US). 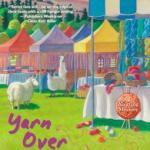 Catherine Aird (born 1930) is the pseudonym of author Kinn Hamilton McIntosh. 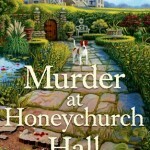 She was born in Yorkshire, and is the author of more than twenty crime fiction novels and story collections. Aird is creator of the Sloan and Crosby novels, set in the CID department of the fictional Berebury, West Calleshire, England. She served as Chairman of the Crime Writers’ Association from 1990-91. She holds an honorary M. A. from the University of Kent and received the M.B.E. for her services to the Girl Guide Association. She lives in England. She’s oddly unknown outside Britain, though her books have been published here and sold reasonably well back in the ’80s, when I was working in a bookstore. But she’s quite good, and has a very distinctive voice. I discovered I have a copy of this one and am so excited to get to it. This sounds like it will be a great read! 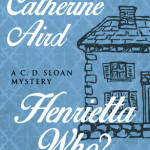 I love Catherine Aird’s mysteries, especially the early ones. I’m still catching up on a few of the more recent ones. Enjoy! I have to admit…the title for this one scared me a bit but your review has calmed me down some. I’m pretty interested in seeing where the story goes. Lovely review! There’s nothing particularly scary and definitely nothing anti-religious in the book. 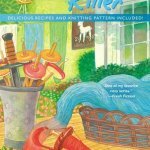 It’s quite good: classic British mystery.